The crowd pay close attention during our Investor Club UK Taxes & Common Reporting Standard Q&A session with the panel of experts. 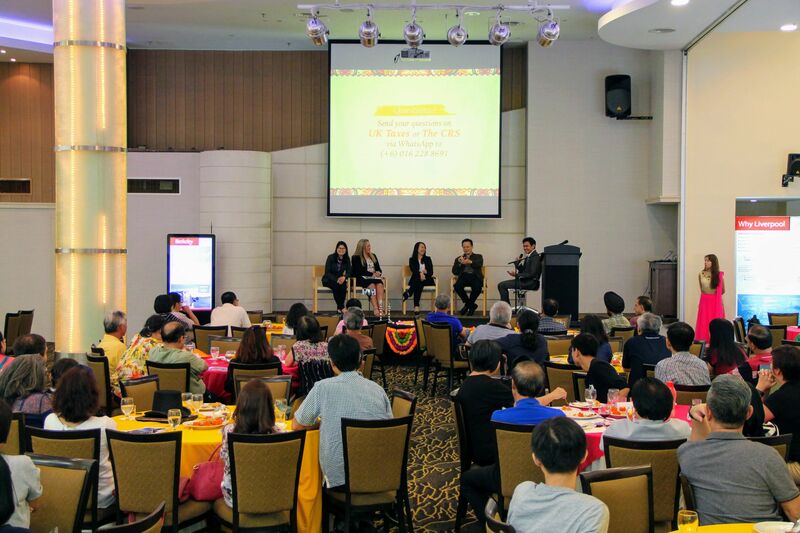 The recent CSI Prop Investor Club event was a resounding success — a wholesome combination of learning, good food and networking. This instalment of our Investor Club focused on taxes and UK property, and the global and automatic exchange of financial information under the Common Reporting Standard (CRS). 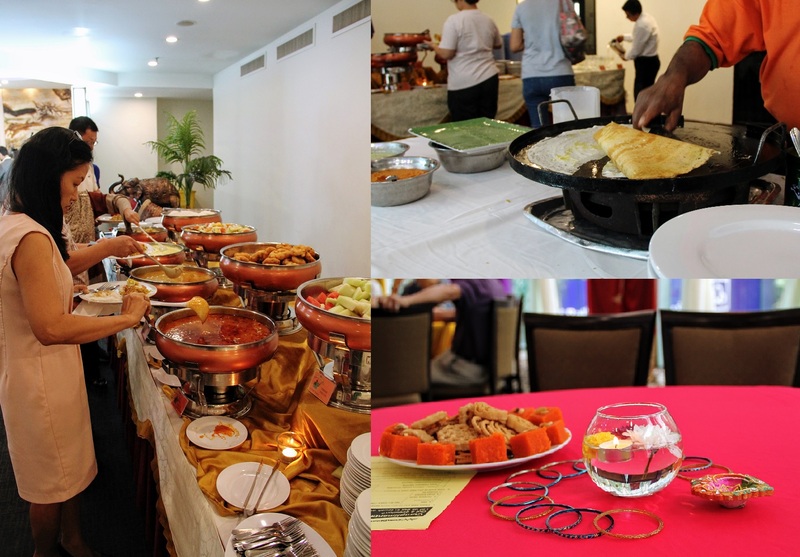 The atmosphere was relaxed and slightly festive, with decor and food lending a nod to the recent Deepavali celebration. 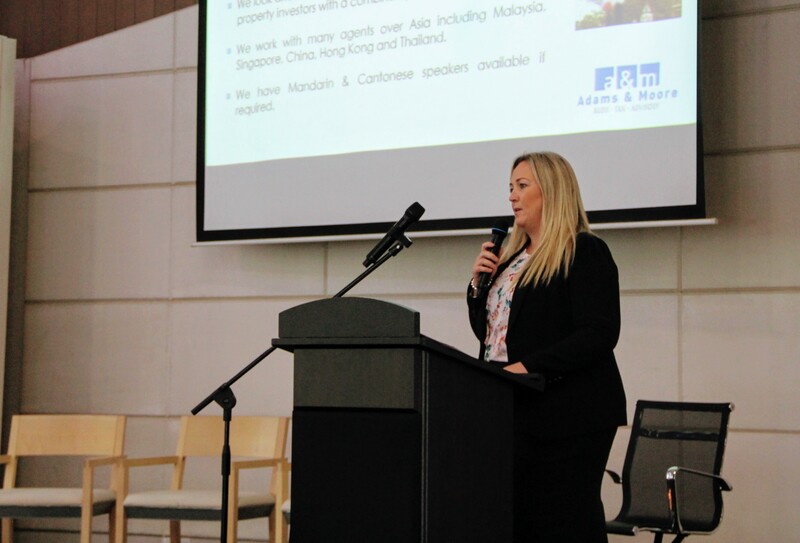 Kierson Hughes, our specially invited guest speaker from Adams & Moore Tax Consultancy Ltd, a UK-based accountancy and tax firm, took our clients through the various property taxes for investors. Kierson has more than 25 years of experience in the industry and, together with her team, has handled a portfolio of over 3,000 clients. Kierson Hughes highlighted the importance of promptly filing UK tax returns, even if the tax is not applicable to the investor, in order to avoid penalties. Kierson highlighted two taxes that UK property investors should note: the Stamp Duty Land Tax, which is paid upon purchase of a property, and the Capital Gains Tax, payable upon sale of a property. She also stressed on the importance of promptly filing UK tax returns, even if the tax is not applicable to the investor, in order to avoid penalties. 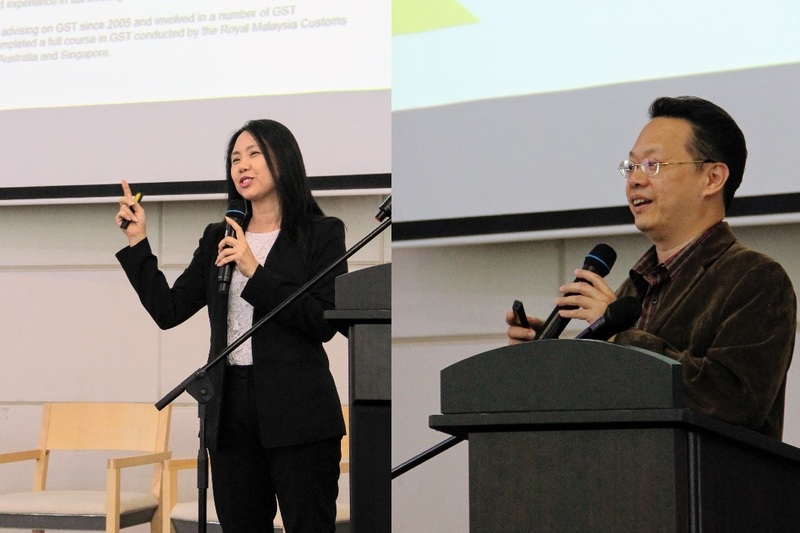 In the second part of the learning session, guest speakers Fennie Lim and Alvin Yap enlightened clients on the Common Reporting Standard, an international effort involving the automatic sharing of individuals’ financial and tax information among more than 100 member countries/ jurisdictions to combat tax evasion. Fennie and Alvin speaking about the Common Reporting Standard and international automatic exchange of information. Fennie is the executive director of Crowe Horwath KL Tax Sdn Bhd, and has 25 years of experience in income tax compliance, tax advisory and indirect tax, as well as tax investigations and field audits. Alvin, the associate director of Wealth Management at Crowe Horwath KL Tax Sdn Bhd, has more than 20 years experience in personal and corporate risk management, specialising in asset protection, preservation planning and business succession planning. Reportable accounts under the CRS includes interests earned, dividends, sales proceeds from financial assets and income from certain insurance contracts. Property is among the fixed assets currently not covered by the CRS. 49 jurisdictions have already implemented the CRS this year, with the remaining to follow suit in 2018. Malaysia is among the 53 jurisdictions that will commence its reporting next year. In keeping with the festive theme, our team arranged for a sumptuous serving of delicious Indian food to fill the stomachs of our hungry guests. The live thosai station — a huge hit and a real crowd-pleaser — churned out mouth-watering thosai after thosai, made extra fragrant with generous drizzles of ghee. 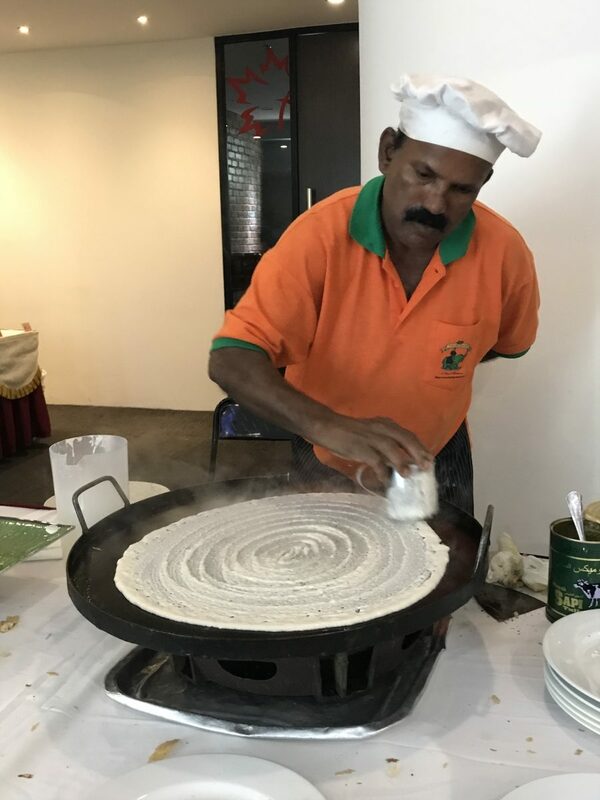 The live thosai station — a huge hit and a real crowd-pleaser — churned out mouth-watering thosai after thosai, made extra fragrant with generous drizzles of ghee. And, to sweeten the deal, each table had a serving of traditional Indian snacks and sweets like acimurruku and rava kesari. The Kids’ Corner kept the little children busy making colourful sand art and cute clay figurines of their favourite superheroes as parennts listened to the talk. There’s always something for the kids here at CSI Prop. 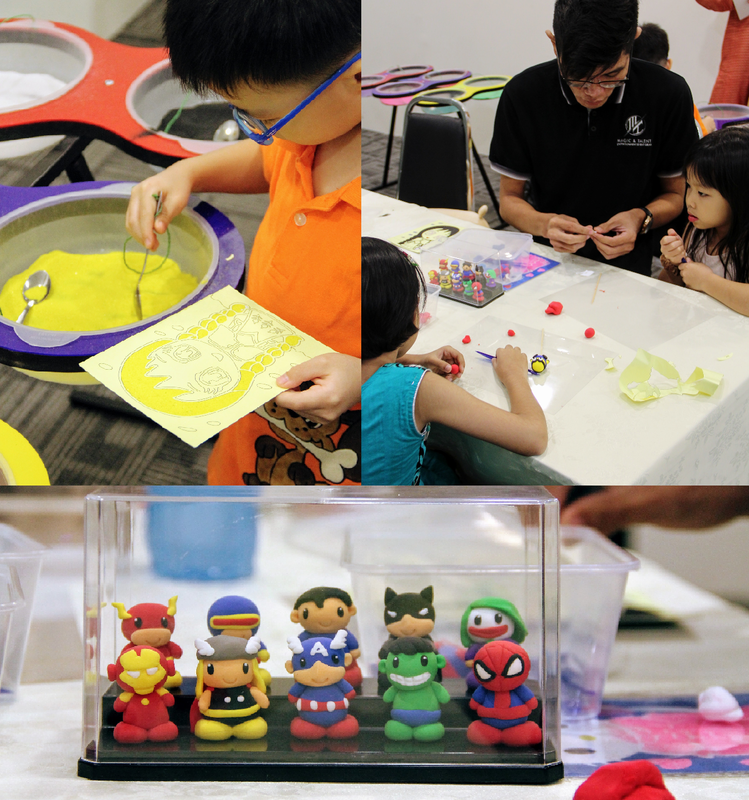 The little ones were kept busy, making with colourful sand art and making cute clay figurines of their favourite superheroes, whilst their parents listened to the talk. Mohammed Amiri, a qualified yoga instructor tell us a thing or two about yoga and meditation. 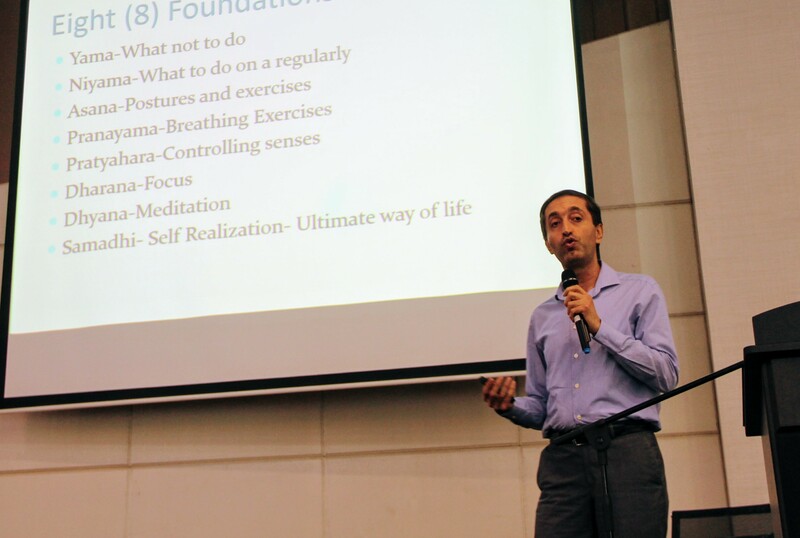 In keeping with our core values of Knowledge and Fun, we ended the evening with Mohammad Amiri, a qualified instructor with the MAYI Yoga Academy and long-time yoga practitioner, who spoke to the crowd about the benefits of yoga and meditation. In his calming, pleasant tone of voice, Mohammad demonstrated how to disconnect from the hustle and bustle of our surroundings and drift into a peaceful state of mind. He also taught us a couple of yoga postures that helped relax and rejuvenate our stiff muscles and tired minds. 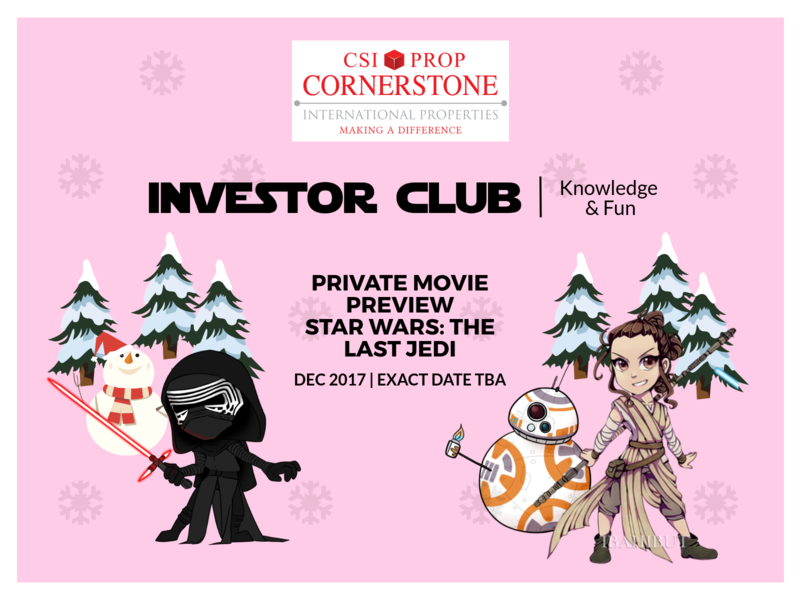 The next Investor Club in Dec will be the movie premiere of The Last Jedi. Star Wars fans, stay tuned! A heads up to our clients: our next Investor Club event will be an exciting one! To be held mid-December, we will be bringing to club members (from a galaxy far, far away) an exclusive screening of The Last Jedi, the latest Star Wars movie at an exclusive and plush cinema in the Klang Valley. As always, delicious refreshments will be served. Club members may just catch a surprise appearance of a character or two from the movie! We will be sending out details soon via e-mail and whatsapp, so STAY TUNED! The Investor Club is an extension of the company’s core values of Knowledge, Service and Having Fun; and an effort to make a difference in the lives of clients through the sharing of knowledge, fun activities and networking. Club events are private and membership is extended exclusively to our clients. For more details on the investor club, call 03-2162 2260.